Sgt. Reynolds L. Ansley, son of Mr. and Mrs. Leo Ansley. 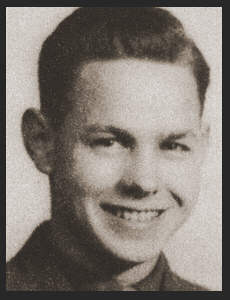 Entered Army in Jan. 1943, trained in Camp Swift, Texas, Ft. Pierce, Camp Pickett, Va; went overseas in Jan. 1944. Served in England, France, New Guinea, Luzon. Discharged in Nov. 1945. Awarded EAME Ribbon with five Battle Stars.